Riassunto: The Encyclopedia of Hinduism encompasses, for the first time in history, the depth and breadth of Hindu and Indian history, science, astrology, medicine, civilization, culture, art, architecture, spirituality, and so much more. A monumental work that has been twenty years in the making and will fascinate, intrigue, and surprise anyone with an interest in the exotic, profound, vital world known as Hinduism, this handsome encyclopedia is a must-have for homes, universities, libraries, and anyone with serious interest in Asia’s indigenous cultures. L'autore&colon; India Heritage Research Foundation (IHRF) is an international, non-profit, humanitarian foundation founded and chaired by one of India’s most revered saints, H.H. Pujya Swami Chidanand Saraswatiji. IHRF runs and sponsors free schools, women’s vocational training programs, a medical clinic, orphanages/gurukuls, frequent free medical health camps, "Clean, Green and Serene" programs, organic gardening programs, Cow-Care programs, an extensive rural development program, and innumerable other humanitarian projects including the first ever Encyclopedia of Hinduism as well as ashrams and medical clinics in the sacred land of Mansarovar and Mt. Kailash in Tibet. IHRF is based in Rishikesh, India with a U.S. office in Louisville, Kentucky. 5. 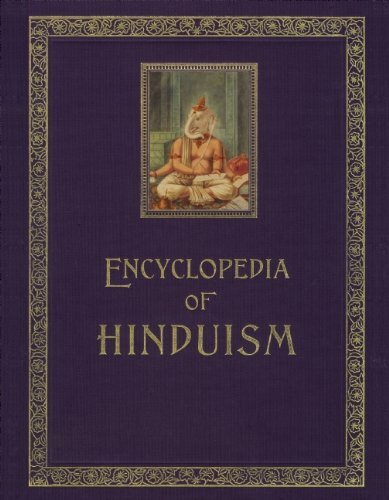 ENCYCLOPEDIA [ENCYCLOPAEDIA] OF HINDUISM. IN ELEVEN VOLUMES. RAO, K. L. Seshagiri, Kapil Kapoor (Edits), Rajnish Kumar Mishra.